King built the Sand Palace to withstand the fiercest hurricane winds. It did. 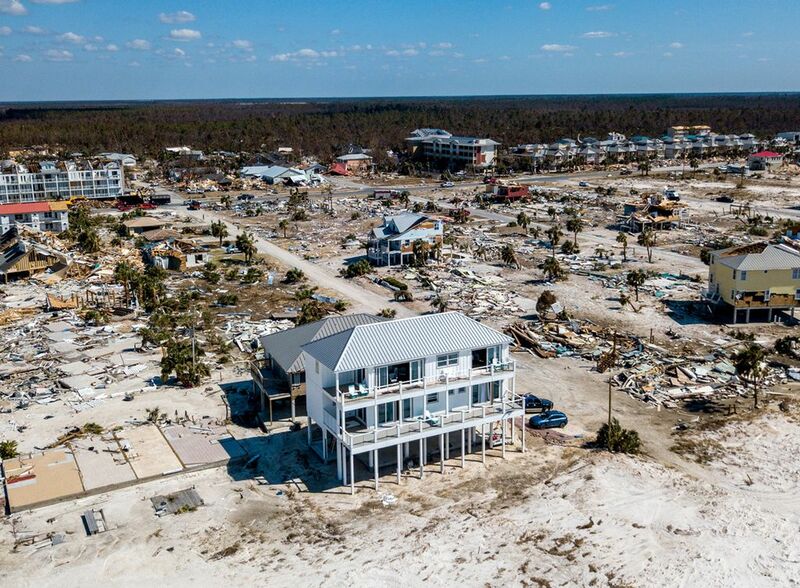 Amid the devastation wreaked by Hurricane Michael, one structure remained intact, said Patricia Mazzei. This is the story of the Florida seafront home built to withstand the big one. After Hurricane Andrew, a Category 5 beast, ravaged Miami-Dade County in 1992, new construction in the southern portion of the state was required to withstand 175-mph winds. 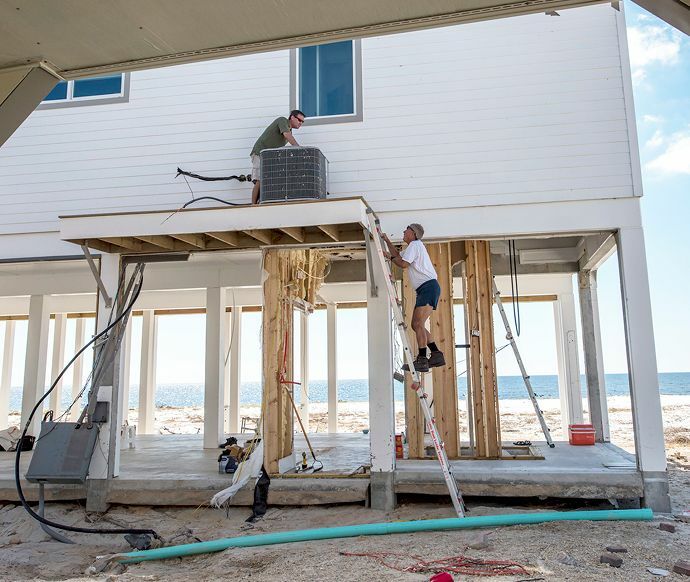 In the coastal Panhandle counties affected by Michael, the requirement is lower, 120 to 150 mph, and the rules for certain kinds of reinforcement have applied to houses built more than a mile from shore only since 2007. Many of the residences and businesses rubbed out by Michael in Mexico Beach were far older; rebuilding them to conform to the new code will be expensive and could price out some of the working-class people who historically have flocked to Mexico Beach. “We’re thinking that we need to build a house that would survive for generations,” Lackey said. Though the family had the relief of knowing their house, which they rent out when they are not using it themselves for vacations, had remained standing, King needed to see for himself what damage the hurricane had done. He left Tennessee at 4 a.m. Saturday and drove his dark blue Ford F-150 pickup south for more than seven hours—far longer than the trip would ordinarily take, because of closed roads and recovery-crew gridlock—to reach his property at the end of 36th Street. “It was supposed to be a fortress like this,” King said, staring in disbelief. The storm surge passed underneath. “All those Mexico Beach houses that were built in the 1970s, they’re gone,” Sandra said. Lackey said much of the small town’s charm came from its older houses and relative lack of overdevelopment, compared with bigger tourist destinations farther west along the coast. Over the Fourth of July holiday, which Mexico Beach celebrated with fireworks at the pier, Lackey’s 5-year-old son, Keaton, learned how to snorkel off the beach in front of the house. “I said, ‘It’ll veer off. They always do. They go to Cancún or someplace,’” he said. As the storm took aim, though, their most recent renters brought the patio furniture indoors and oversaw a specialist hired by Lackey and King to seal the doors the day before landfall—the sort of measure Lackey readily acknowledges may be unaffordable for most people during an emergency. The renters ate at a beloved local seafood restaurant, Toucan’s, and then evacuated from town. “They were probably the last people to eat there,” Lackey said of Toucan’s, which did not survive.